Owner Melissa Austria selected the large wooden chandelier from the Stroudfoot studio collection when opening her second Gotstyle retail store in the historic Distillery District (21 Trinity St.) of Toronto. The rustic interior space with exposed brick and other reclaimed wood, made this Stroudfoot chandelier crafted of heritage wood and vintage bulbs a seamless addition. 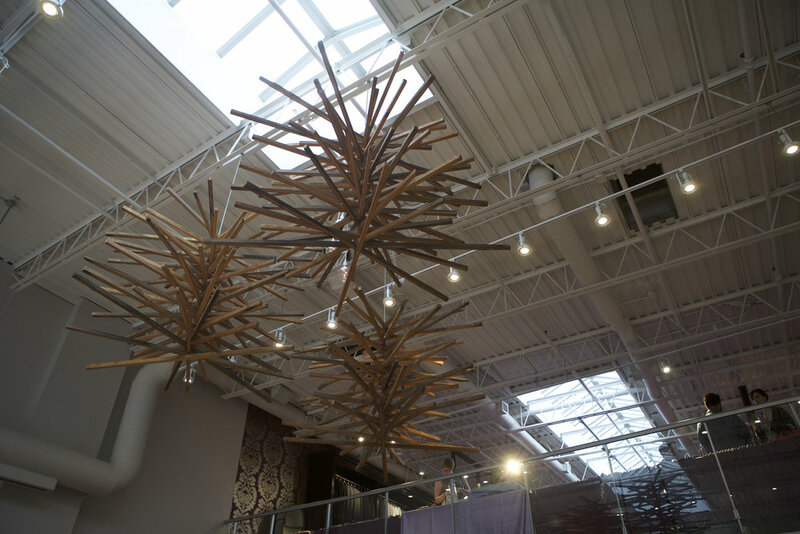 The chandelier hangs from the high ceilings of the warehouse-style space, and being a large-scale installation, helps to unify the main and second floors, making the expansive space replete with artistic interest from above.